The Chairperson received the credentials of incoming Special Representative of the UN Secretary General, HE Hanna Tettah. 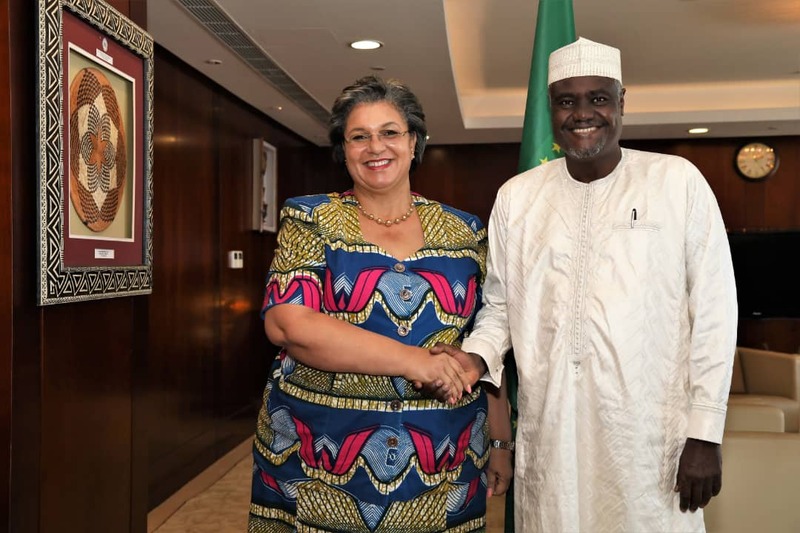 The Chairperson received the credentials of incoming Special Representative of the UN Secretary General, HE Hanna Tettah in Addis Ababa on 11th January 2019. Chairperson Faki welcomed HE Tetteh to Addis Abeba, and thanked the UN Secretary General for his choice of appointing HE Tetteh, whose experience and collaboration with the African Union on carrying out the African Agenda during her former roles, makes her a vital link in further implementing the joint UN AU framework agreements on Peace&Security and development priorities.